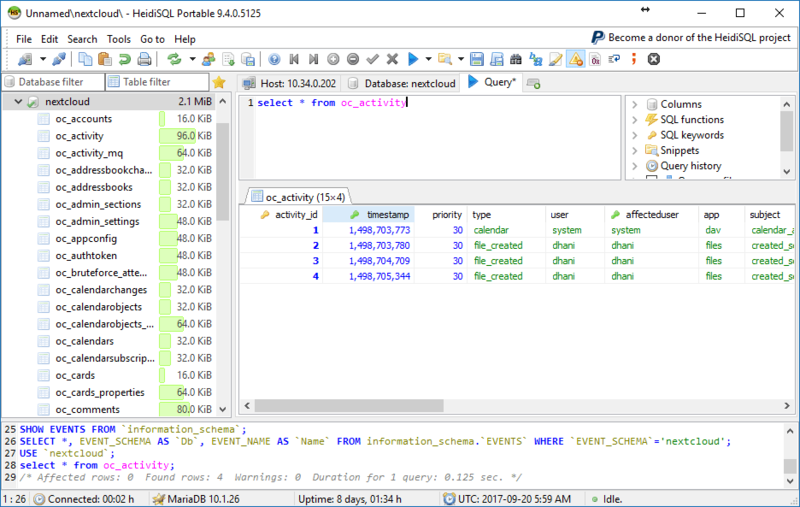 Looking for a simple, free GUI tool for MySQL, SQL Server and PostgreSQL? Try this HeidiSQL, a free Windows software that can be used to manage various database server including MySQL, SQL Server, PostgreSQL. HeidiSQL comes with a nice user interface, rich features and also its free. It has built in SQL Query tool, export import tool and many more. HeidiSQL also available in portable edition that does not need to be installed. You can run this application from a USB flash disk if you want to. For more information, please visit the official website.